Use the Quick Edit Page for fast access to the Premium Instruments. It's also referred to as the "Composer Page", since it contains everything a composer needs. The Quick Edit Page provides quick access to all the most important parameters for fast results. Independence also includes Élastique (developed by zplane), a feature for making high-quality tempo and pitch changes to your audio loops. You can also use Élastique to customize multi-sampled instruments. The modules offer a variety of options for manipulating sound professionally and have been created for the highest standards. Each layer's alternates and sections are displayed using the Context Browser and can be edited individually or in layers. Independence's professional mixer enables you to edit, mix and finalize instruments completely independent of their host. You can assign your projects an unlimited number of bus channels and use over 5 bus sends for each layer channel. Manipulation and distortion are popular for fine tuning and adjusting instruments for your needs. Independence contains over 40 professional filters and effects to help you create sounds that are truly innovative. Independence contains a range of innovative methods for selecting sound while you're playing. You can apply various legato and performance settings for every alternate, playing style and technique individually - it's the perfect "humanizer" for your instruments. 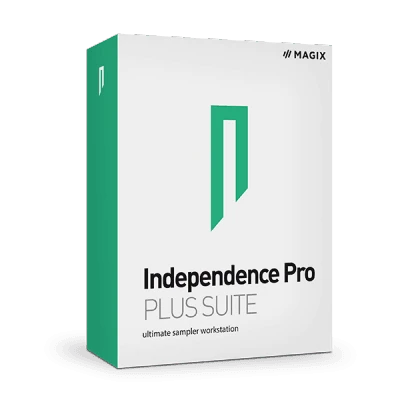 Independence is the world's first software sampler that allows unlimited third party VST effects and instrument to be loaded into a sampler environment - guaranteeing you the highest level of control and flexibility for your music productions.